My name is Ruth Dennison, I have always had love for mums and babies going back to when I was a child. 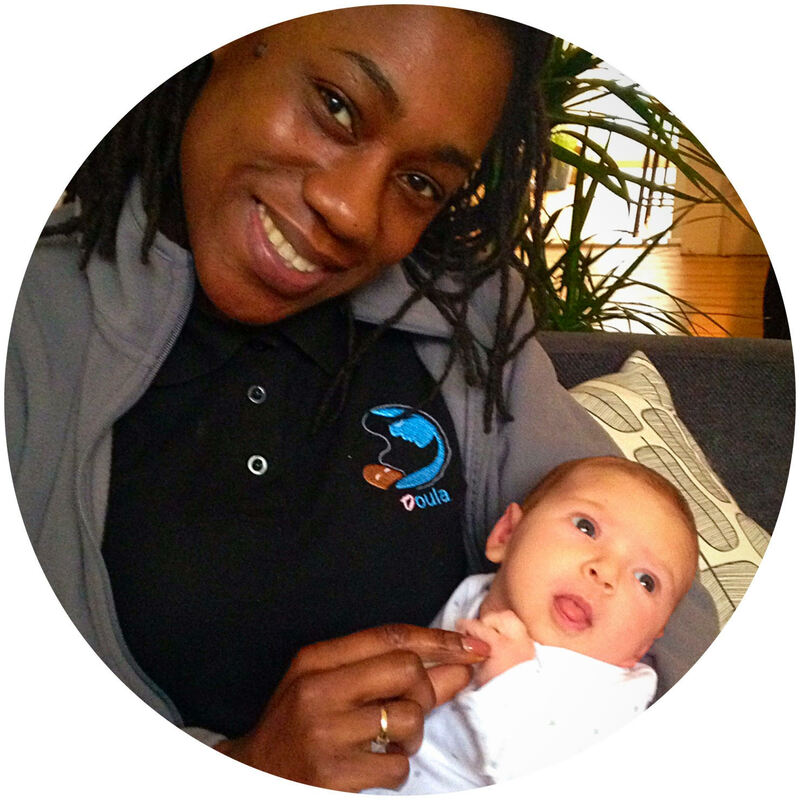 I first started working with babies and older children back in 2005 after studying Childcare, Learning and Development. I worked in numerous nurseries and schools all over London before I took a step into the maternity field. From 2007 – November 2016 I worked in a Hospital setting as a Maternity Care Assistant and undertook a wide range of in-house courses and training, including annual updates in Health and Social Care Level 3, UNICEF Breastfeeding Management and the Train the Trainer Baby Friendly Initiative courses, Infant Nutrition, Perinatal Mental Health, Domestic Violence, Adult & Child Safeguarding Level 2 and Child protection, Infection Control and Basic Life support, to name a few. I supported women and their families by providing antenatal and postnatal care and support. I had a great role within breastfeeding, this allowed me to support mothers to get breastfeeding onto the right start. I was passionate about sharing the knowledge I gained from my extended training within breastfeeding not only to new and expectant mums but also to maternity staff I worked with. In 2015 I did the Tongue-tie assessment training, with Alison Hazel Baker – IBCLC Lactation Consultant, which allowed me to be a part of the Tongue-tie clinic team coordinators. Towards the end of 2015 I then started up a breastfeeding company called 1-2-1 Breastfeeding due to the passion I had with supporting women, but I still wanted to do more in supporting women in this special journey of their life’s. Early 2016 I searched into maternity courses when I stumbled into the word DOULA, I then looked into what Doula’s do and came to realise that a Doula was me. I started my Doula journey in May 2016 with burning passion inside me, I did my Doula Prep Course through Nurturing Birth and Abuela Doula’s, became a recognised Doula UK – Doula, since July 2017 and I continue to further my knowledge and skills through reading, research, workshops, training courses and more. Since doing my Doula course I have done a selective CPD’s with trainers such as; Mars Lord (Supporting the Multiple Mama-twin mums), Nicola Goodall (Holistic Breastfeeding / Aromatherapy for Birthworkers / Mother Warming / Grandmothers Medicine), Peter Walker (Infant Massage), Dr Jack Newman from Breastfeeding Inc (Breastfeeding Education courses), Jennifer Walker from Spinning Babies (Easier Birth with Fetal Positioning) , Dr Chantal Lockey (Infant Loss / Breastfeeding), Nikki Mather (Lotions & Potions), School of Babywearing (Babywearing Peer Supporter), Centre of Excellence (Pregnancy Massage Diploma). I am passionate about expectant mums and their loved ones receiving the support and reassurance they need to help achieve a better pregnancy, birth and postnatal experience. Hospitals are very fast flow, women can meet numerous amount of professionals on one visit, which sometimes can lead to the mother to not feel secure but vulnerable. I believe it is very important that women make informed choices using evidence base information, as it is your bodies, your birth and your babies, the more you know, the more likely you will feel/be in control and experience a positive, pregnancy, birth and start to parenting your newborn baby. I have had the privilege of supporting a variety of births; IVF pregnancies, pregnancies after baby loss/miscarriage, twin pregnancies, water births, caesarean births, tokophobia pregnancies, sciatica pregnancies, gestational hypertension pregnancies, PAPPA pregnancies, high risk and low risk pregnancies. I have great experience and confidence working with women and their babies, singletons, twins and triplets, pre-birth and post-birth within the hospital setting and in the comfort of their homes supporting them and their families, including grandparents. I have given birth twice, to my beautiful son and daughter who are now aged 6 and 9 years. Nurturing, educating, supporting, counselling, relaxing your mind and giving you and your family physical, practical and emotional support is what I do. I am here to support women to give birth without fear and to get onto the right start in parenting and bonding with their babies. I’m a very bubbly, kind and caring person. I love my family, listening to music, dancing, natural remedies, reading, researching, swimming, and meeting up with my family and friends. I’m a good listener who don’t make judgement of others views but value their opinions, choices and privacy.